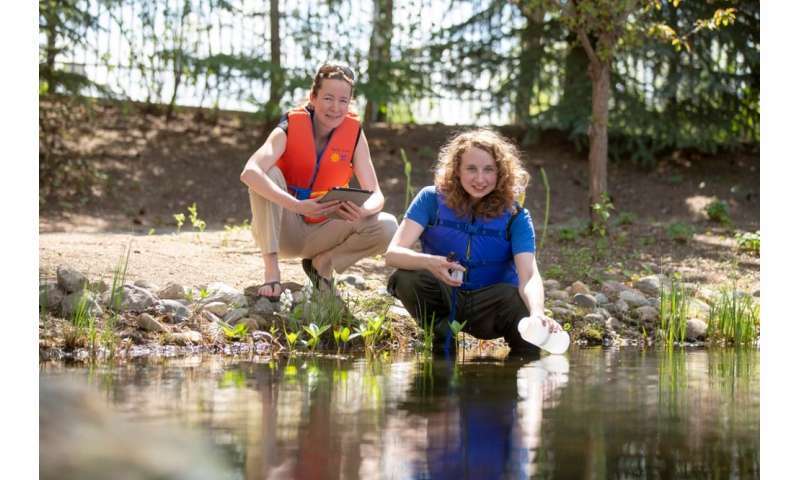 University of Saskatchewan Ph.D. student Emily Cavaliere and her supervisor Helen Baulch have found that a cleansing chemical process called "denitrification" helps maintain water quality of Prairie lakes during winter—a previous scientific unknown. "My work has debunked scientists' assumption that lakes are dormant until spring comes," said Cavaliere. "Where there is water, there is life." By taking up nitrogen, "friendly" bacteria that live in the sediment of lakes eliminate this nutrient permanently from water. This denitrification process is crucial for maintaining water quality. With results published in the journal Biogeochemistry, Baulch and Cavaliere have been the first to find evidence that denitrification in lakes happens under ice as quickly as it does in the summer. Scientists have so far assumed that cold temperatures would slow down denitrification. Excessive nutrients can cause algal blooms. These blooms lead to poor water quality, increasing the cost to treat water. These slimy plant-like organisms receive a growth boost when nutrients such as nitrogen or phosphorus make their way into bodies of water. 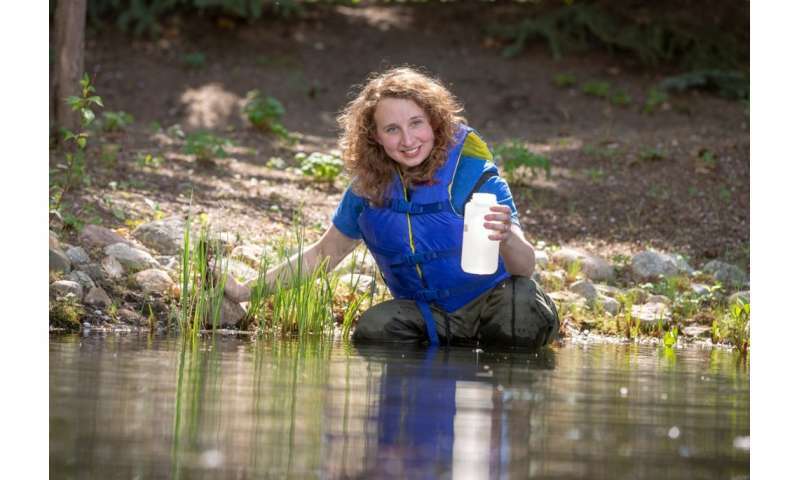 "Emily's work will help us understand how rates of water nutrient cycling will change in the future, as winter grows shorter," said Baulch, professor in the U of S School of Environment and Sustainability (SENS) and Cavaliere's supervisor. "This is key to understanding future water quality and for better managing our water resources." Cavaliere has found the cleansing process is ongoing in the winter because nitrogen levels are still high in the water. This prompts bacteria to keep up denitrification regardless of the temperature. For three long winters, she spent hours outdoors collecting samples of water and sediment from nine Saskatchewan lakes. She had to learn how to drill ice with an auger, the same kind used for ice fishing. It was nothing like the mild Oregon winters she had experienced back home, she said. "Winter research is really rare all over the world—but particularly so in Saskatchewan, where cold weather creates challenges even for the bravest student," said Baulch. With a plan to graduate soon and then pursue a post-doctoral fellowship, Cavaliere hopes to keep researching winter secrets hidden below the surface of lakes. The next big question that she and Baulch will tackle is the impact that climate change, with possible shorter and milder winters, will have on the removal of nitrogen in lakes and how algal blooms will be affected in turn. "We expect lakes to become more vulnerable to nutrient pollution, simply as a result of warming water temperatures," says Baulch. "This means we expect to see more frequent and more severe blooms."